Using a deep bowl mix fish sauce, sugar, lemon grass, cooking oil and a dash of ground pepper. 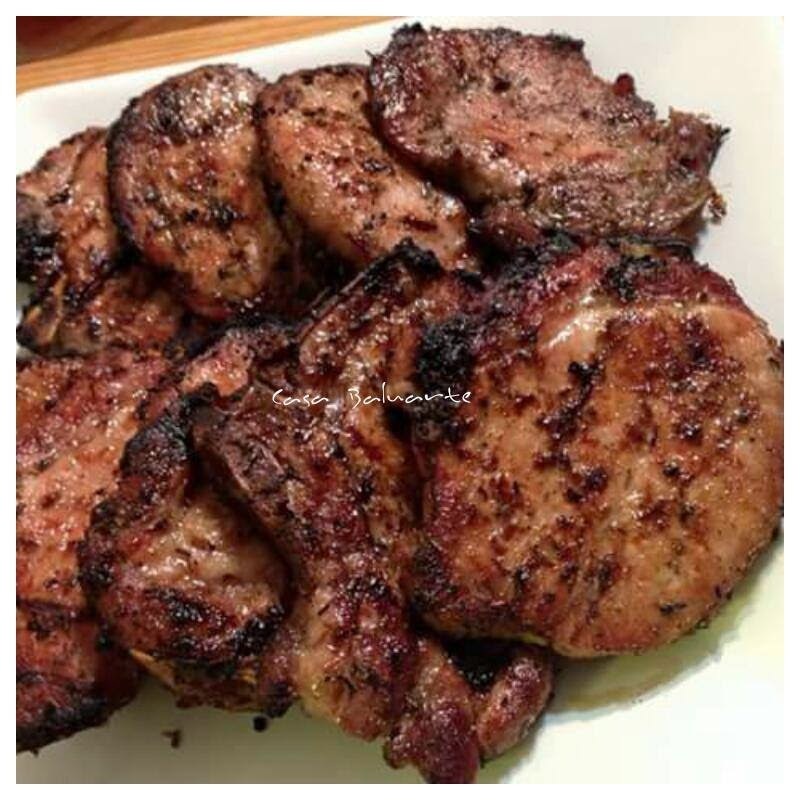 Marinate pork chops in a couple of hours and refrigerate. Start the grill, Grill the pork chops for few minutes in each side. Remove the chops from the grill. Serve hot over steam rice.